Variety pack of blank magnetic neoprene can coolies. These items fit a standard diameter 12 oz. can and have a collapsible bottom which folds flat for easier storage. Colors are as shown. The Blank Magnetic Neoprene Collapsible Can Coolie is an upgrade from foam collapsible (more durable, dense wet suit type material) and is ideal for screen printing. 2 strong magnets are sewn into one side and are enclosed within a leather-like pouch. The magnets will hold a full can firmly to any metal surface. 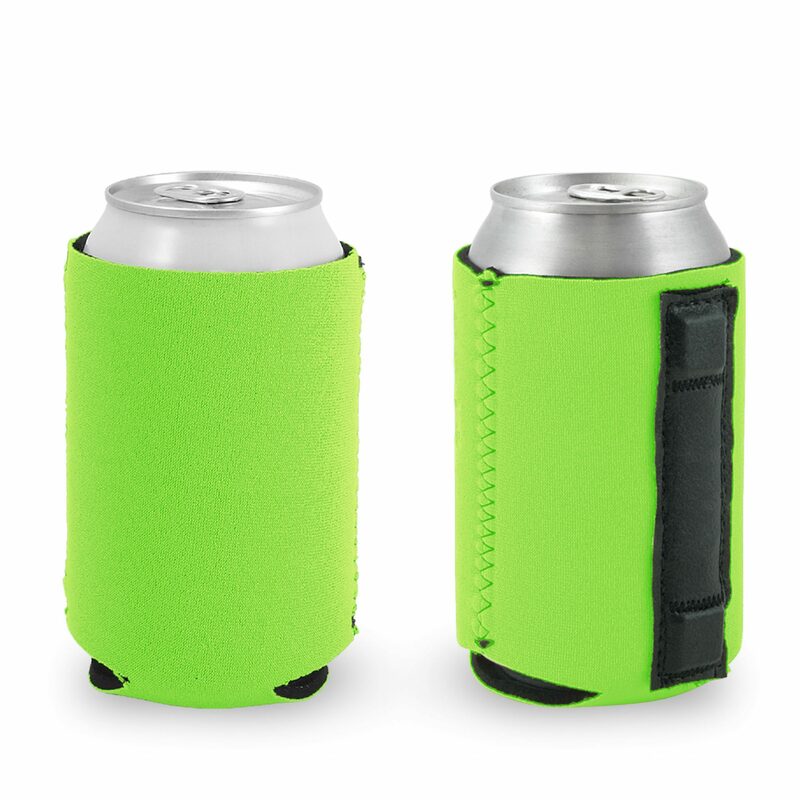 This koozie measures 4″x5″ when flat (including 1″ bottom) and is 3mm (about 1/8″) in thickness.